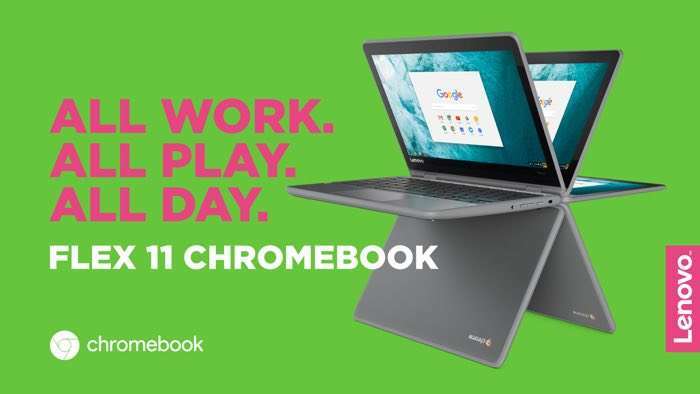 Lenovo has added a new Google Chromebook to its line up with the Lenovo Flex 11 Chromebook and it features an 11.6 inch display. The 11.6 inch display on the Lenovo Flex 11 Chromebook comes with a resolution of 1366 x768 pixels and the device is powered by a quad core 2.1GHz processor. Other specifications on the Lenovo Flex 11 Chromebook include 32gB of built in storage, plus an SD card slot, there is also WiFi, Bluetooth and USB Type C.
You can find out more details about the new Lenovo Flex 11 Chromebook it will launch in the US later this month.